Looking for british topography books? Biblio.co.uk hosts hundreds of of the finest online book stores and booksellers, including specialists in british topography. Use the list below to locate a specific specialist bookseller or book store near you. Or, use the form below to search the inventory of all booksellers who specialize in british topography. We are close to the beach and the wonderful Snowdonia National Park. 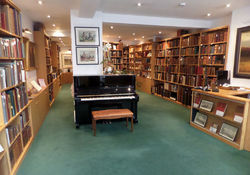 Dealing in Fine & Rare Antiquarian books in the heart of North Wales. We have a general stock of rare books, which include, but are not limited to: history, topography, private press and items with a Welsh interest. We are keen to buy similar antiquarian books and will also provide valuations.